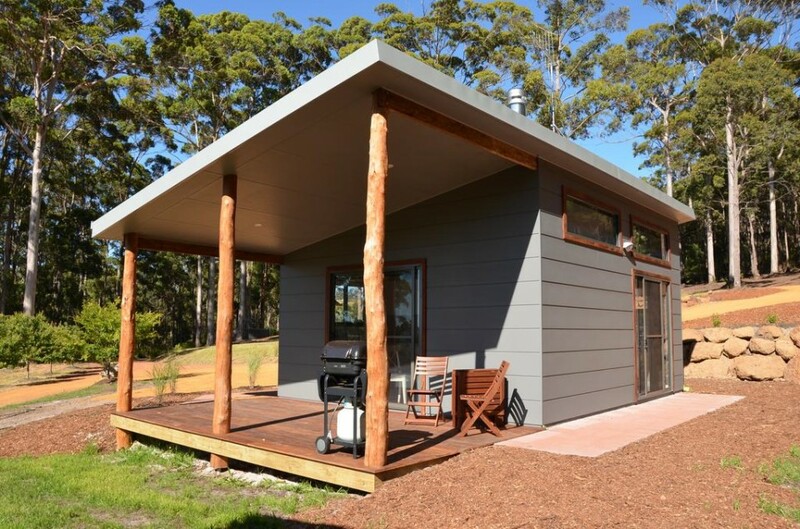 The Karri Cabin, a purpose-built studio cabin with beautiful inlet and forest views. With sustainability at the heart of our philosophy we have designed the cabin to be passive solar and use as little energy as possible. We have of course included the luxuries of a log fire, a bubble massage bath and reverse cycle air-conditioning. 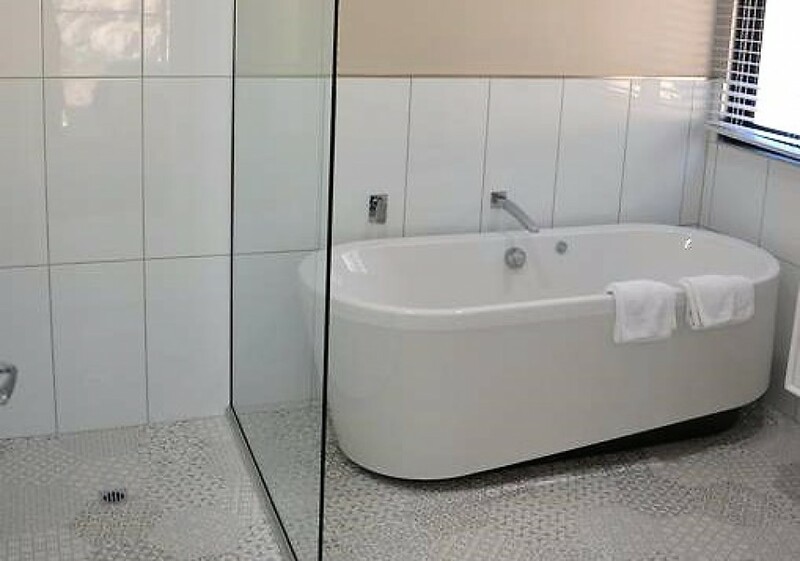 Perfect comfort for summer or winter you can stay in and cook gourmet meals in the well appointed kitchen or barbecue on the deck, enjoy puzzles or games in front of the fire or read that book you have been wanting to for so long now. Or head out to sample the amazing beaches, walking trails, wineries, restaurants, breweries, cheese factory and much more Denmark has to offer. 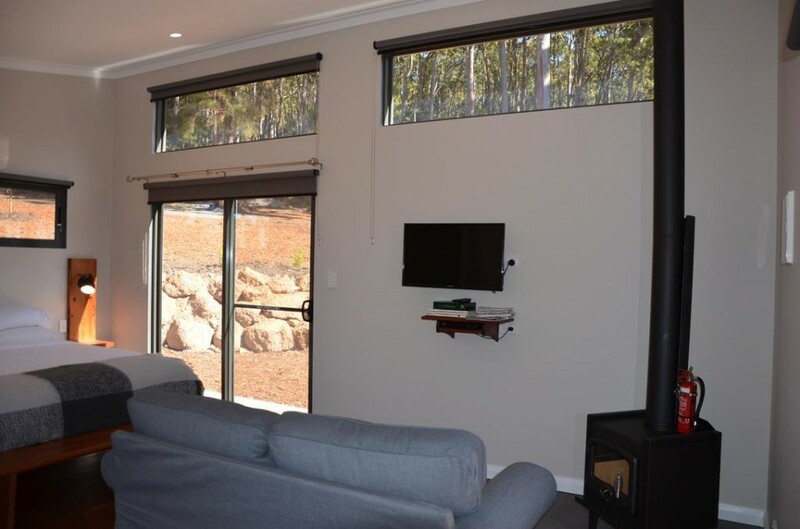 The Karri accommodate up to 2 people, so it is suitable for couples or singles. 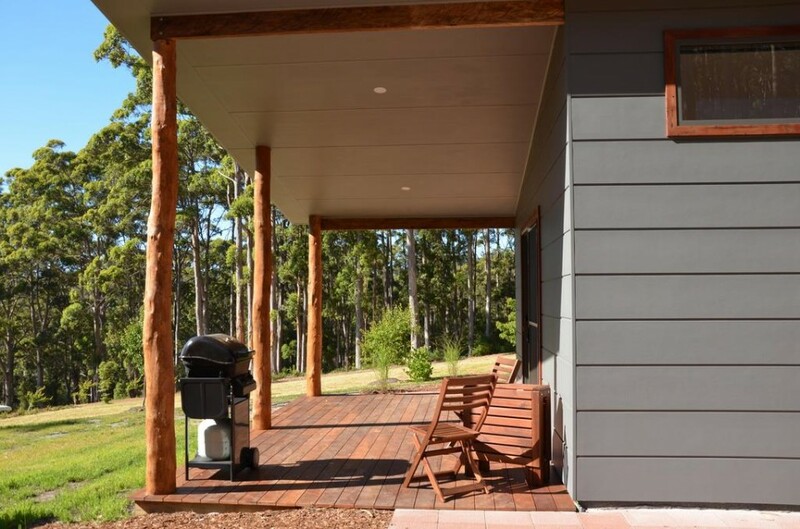 This cabin is named for the Karri tree, one of two trees that are native to The Floating Forest. Non smoking inside, no pets permitted.